Get access to the full strategy guide for Watch_Dogs in digital form, giving you all the information and advice you could ever need at your fingertips! Reach 100% completion as the guide covers every single main mission, side mission, investigation, and collectible location. Make sure you know where you are at all times with the highly detailed map that covers every inch of the massive open world setting. Dedicated Multiplayer chapter details all online contracts and maps including expert advice on hacking, tailing, races, decryption, and notoriety. Provides coverage and help for Watch_Dogs on PC, Xbox 360, Xbox One, PlayStation 3, and PlayStation 4. 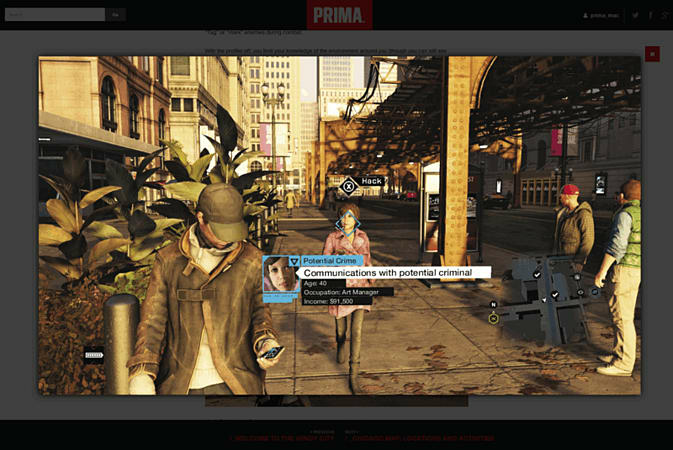 Get a hand hacking your way across Chicago in Watch_Dogs with this eGuide. Full Strategy Guide in Digital Format: All the strategy at your fingertips, with enhanced features including tutorial and expert videos, alternate tactics, bonus Minigames chapter, updates, and more…all optimized for a second-screen experience. 100% Completion Guide Covers every main mission, side mission, investigation, and collectible to deliver the full experience in the most anticipated new franchise of the year. Highly detailed maps cover every inch of the massive open world setting, charting the most rewarding path to every secret collectible. Comprehensive Training Details everything from the basics of exploring Chicago to hacking, unlocking Skills, and advanced tactical advice that will help you optimize your game play. Platforms Covered: PC, Xbox 360, Xbox One, PlayStation 3, and PlayStation 4. 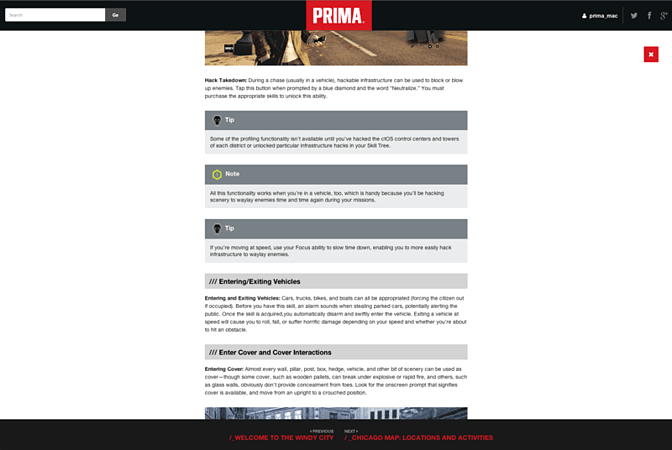 Access Anywhere: Responsive design means your eGuide can be viewed on any web-enabled device. After purchasing the Watch Dogs eGuide a code will be sent to your email upon release of the Watch_Dogs game (27/05/2014) once you have your code follow the instructions below to get access to the eGuide. Select 'redeem' on the homepage. 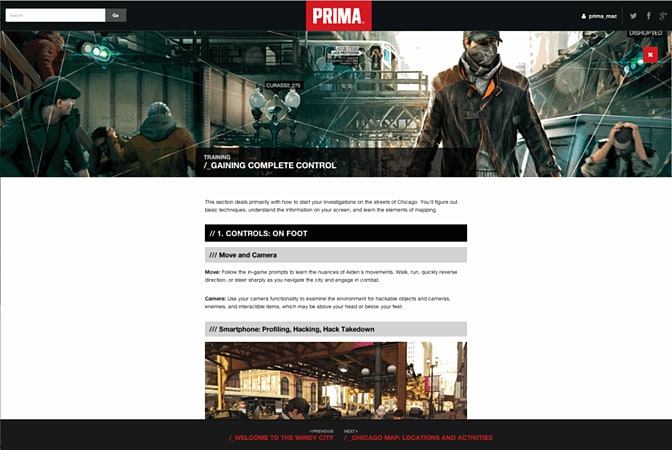 Register to primagames.com for free and you will be able to link the guide to your account and access it anywhere.